France is calling for a ban on anonymous cryptocurrencies that do not identify both parties in the transaction. Germany wants to create a state-run register for regulating blockchain and cryptocurrencies. Ireland is proposing to adopt Bill 2019, which would give effect to AML5, thus improving the standards of due diligence for financial service providers and preventing the creation of anonymous safe deposit boxes. Spain’s tax authorities are actively requesting from service providers names and trading information on crypto buyers suspected in money laundering. Malta pioneered a comprehensive legal framework for dealing with financial crimes, market and consumer fraud, and other criminal activities. Monero — due to its use of stealth addresses that perfectly mask the final destination, as well as its ease of convertibility to any major cryptos. Zcash — due to its ‘shielded currency’ feature, which complicates the tracing procedure significantly. Dash — due to the presence of the ‘mixing’ element in its protocol and advanced privacy features compared to its ‘parent’, Litecoin. In November 2018, the European Commission introduced new regulations to complement AML5. The new provisions now regulate the activities of individuals such as letting agents and art dealers — not just financial institutions. They also oblige cryptocurrency exchanges to abide by the same regulations that are made for financial service providers. The aforementioned provisions, however, will not necessarily put an end to the dissemination of cryptos — rather the opposite. 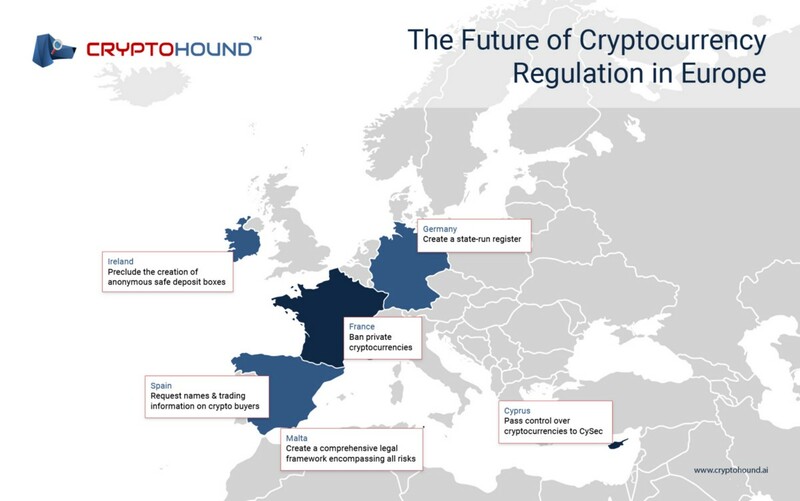 De-anonymizing virtual coins has been a major concern for EU countries seeking to integrate cryptocurrencies into their anti-money laundering laws. This can be done by incorporating provisions on crypto-to-crypto exchanges into existing legislation or — a more extreme solution — banning anonymous, private coins or safe deposit boxes.